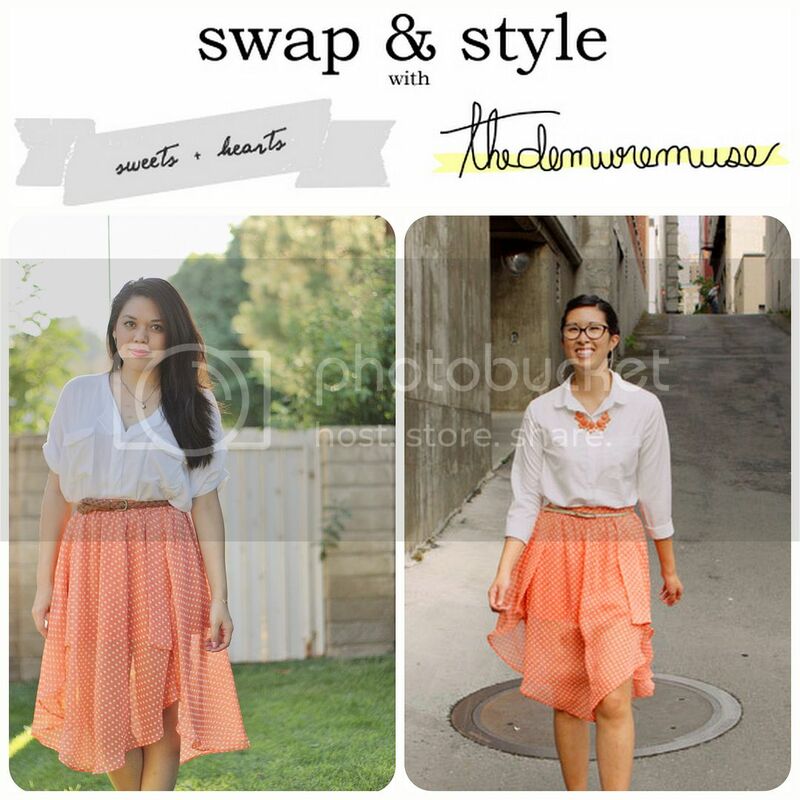 Part II of my latest Swap & Style with The Demure Muse! I'm always curious to see how Katrina has styled something when we exchange photos before posting these, especially when it's something I haven't worn much due to a lack of inspiration. I laughed when she sent me this one--our outfits are nearly identical! If I had a statement necklace and black shoes, we'd look practically the same. ~Great minds! I styled my polka-dot coral skirt with my favorite white shirt (which is slowly coming apart because I've been over-wearing it this summer), brown braided belt, espadrille wedges, and my little cameo necklace my friend Stephanie gave me during our school trip to Europe a few years ago. 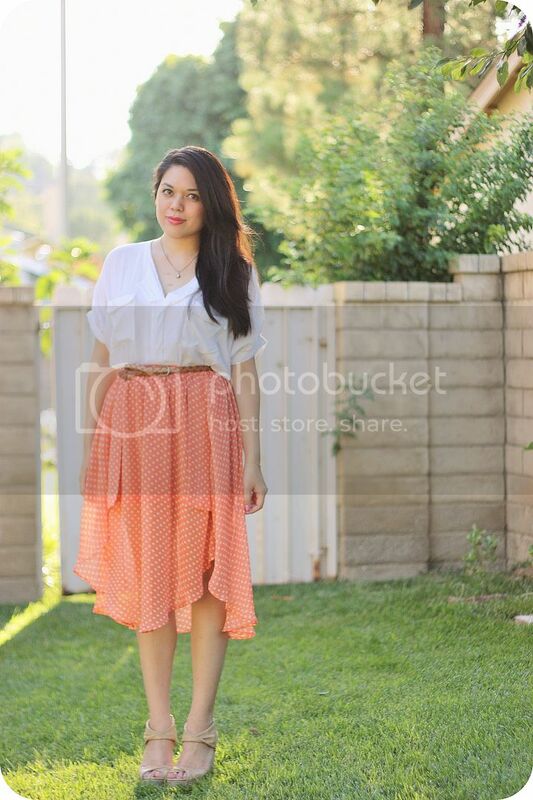 As always, don't forget to check out her blog for more photos and details of her outfit! Want more Swap & Style posts? Click here.